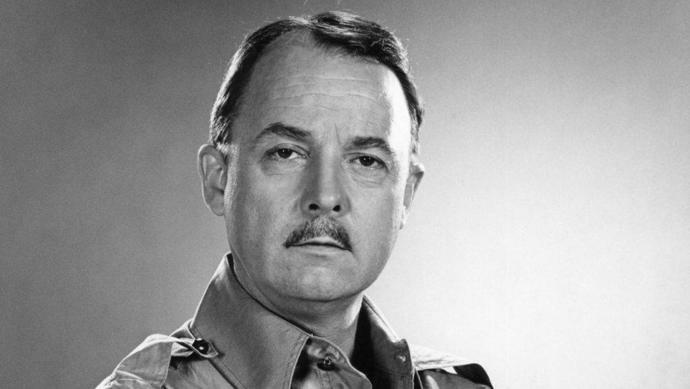 John Hillerman, the actor who made a career out of playing snooty types, including Tom Selleck's fastidious estate caretaker Jonathan Quayle Higgins III on Magnum, P.I., died Thursday. He was 84. Hillerman, who received four Emmy nominations in consecutive years for portraying Higgins and won in 1987, died at his home in Houston, family spokeswoman Lori De Waal told the Associated Press. She said the cause of death had not been determined. Hillerman also appeared as Higgins on episodes of Murder, She Wrote and Simon & Simon. His Higgins character was a natural extension of a part he played on the TV detective show Ellery Queen: Simon Brimmer, a radio personality and affected gent who fancied himself a savvy sleuth. Ironically, Hillerman, who often played condescending characters with more than a touch of the Tory Brit - the Mayfair accent - was a Texan from a tiny railroad town, the son of a gas station owner. He also was recognized for his character on the 1977-78 sitcom The Betty White Show, in which he played the star's director and former spouse; as Sandy Duncan's father on Valerie's Family: The Hogans; and as Bonnie Franklin's stuffy boss Mr. Connors at a PR firm on One Day at a Time. Hillerman received his first onscreen credit in 1971 at the relatively advanced age of 39 off a part in the 1971 Western Lawman. Also that year, he had a small role as a teacher in Peter Bogdanovich's The Last Picture Show. Later, he appeared for the director in What's Up, Doc? (1972), Paper Moon (1973) and At Long Last Love (1975). Hillerman had roles in many top films, including such hits as Mel Brooks' Blazing Saddles (1974), where he played a chap named Howard Johnson, and Roman Polanski's noir classic Chinatown(1974), as Russ Yelburton, deputy chief of the water department. Hillerman also performed in High Plains Drifter (1973), Lucky Lady (1975), Audrey Rose (1977) and another Brooks' film, History of the World: Part I (1981) and A Very Brady Sequel (1996). John Benedict Hillerman was born Dec. 20, 1932, in Denison, Texas. He attended the University of Texas at Austin for three years before serving four years in the Air Force. During his tour of duty, he worked with theatrical groups. Upon his discharge, he moved to New York City to study at the American Theatre Wing. He landed his first professional theatrical role in Middleton, Ohio, and went on to appear in productions at The Cincinnati Playhouse; it was there that he honed his British accent and natty style.